1. 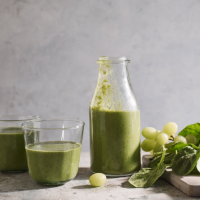 Put the avocado, banana, grapes and spinach in a blender. Add 400ml water and whizz until smooth and thick.